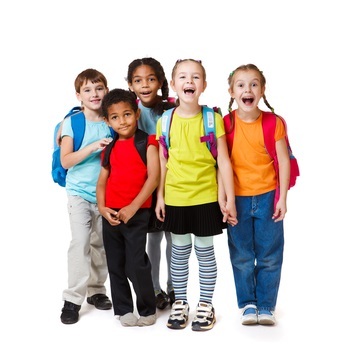 At Keystone Dental Center we specialize in promoting children’s dental health. Dr. Lamb and our caring and professional staff know how to gently care for your child when he or she needs dental care for routine wellness or other dental services such as filling a cavity or more. Here are a few of the great dental care options we can offer your child. chew, and we know that children don’t always brush their teeth as well as needed, especially at these young ages. Their location far back in the mouth makes these teeth difficult to clean properly. Molars start to develop when children are between the ages of five and seven. The second set of molars generally arrive between 11 and 14. You should consider having sealant placed on new molars as a preventative measure. The first thing that must be done is for an adhesive to apply to the teeth. A liquid sealant is brushed on the teeth directly over the sealant. This liquid solidifies and protects your teeth from food remnants, germs and plague. They can last for about a decade before you will need to have them done again. This is one of the most important pieces of sports equipment there is. Athletes of all ages would benefit from wearing them. Athletes of all ages would benefit from wearing them. Sports where they are common include, football, lacrosse, wrestling, basket ball and soccer. Basically, any sport where it is likely you will come in contact with others. Mouth guards stop your jaws and teeth from becoming damaged. They also prevent any cuts on the lips, teeth and tongue. There has been evidence that wearing a mouth guard can reduce the chances of getting a concussion. You can purchase mouth guards at sports supply store, but you need to make sure that you choose wisely. Some of them do not offer the level or protection you need. They are often awkward and uncomfortable. The best way to ensure a good fit would be to go to a dentist to have a custom mouth guard made for you. This will be a piece that is made especially for you. It is made of plastic that has been hardened in order to give your teeth some protection. The thin material allows the player to breath and communicate without any problems. This is especially true for quarterbacks since they have to give so many symbols. Make an appointment with Dr. Lamb today (click HERE to make an online appointment) to get a custom mouth guard made. This will keep you at the top of your game regardless of where you are, and will protect those valuable teeth from injury – all at a very affordable price. Call us now at 719-596-0212 or contact us HERE.